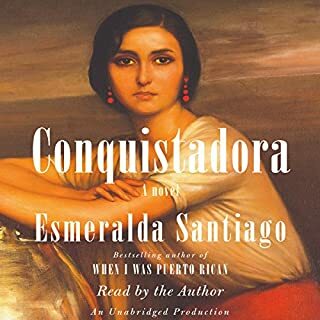 From a rippled zinc shack in rural Puerto Rico to "the better life" in a decaying Brooklyn tenement, Esmeralda Santiago's Puerto Rican childhood is one of sorcery, smoldering war between the sexes, and high comedy. Hers is a portrait of a harsh but enchanted world that can never be reclaimed. 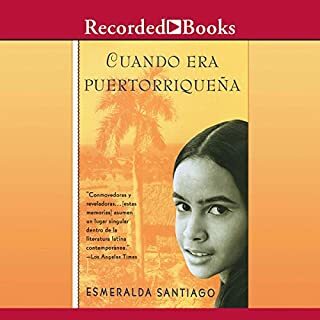 Esmeralda Santiago's memoir Cuando Era Puertorriqueña continues with El Amante Turco. At 21, Esmeralda moves from Brooklyn to begin a life with Ulvi, a domineering, condescending Turkish immigrant several years older. After years of abuse, Esmeralda finds the strength to earn a degree from Harvard and leave Ulvi, ultimately proving, "There will always be another train." On a deserted mountain road in the Dominican Republic in 1960, three young women from a pious Catholic family were assassinated after visiting their husbands, who had been jailed as suspected rebel leaders. The Mirabal sisters, thus martyred, became mythical figures in their country, where they are known as Las Mariposas (the butterflies). A veces desgarrador, a veces intensamente alegre, La Casa en Mango Street relata la historia de Esperanza Cordero, en cuyo barrio conviven realidades crueles y una belleza severa. Esperanza no quiere pertenecer, ni a su barrio ni a las bajas expectativas que el mundo le ofrece. La historia de Esperanza es la de una joven intentando alcanzar su propio poder e inventar sup propio futuro. Alexander Cold es un muchacho americano de quince años que parte al Amazonas con su abuela Kate, periodista especializada en viajes. La expedición se interna en la selva en busca de una extraña bestia gigantesca. Junto a su compañera de viaje, Nadia Santos, y un centenario chamán indígena, Alex conocerá un mundo sorprendente. El universo ya conocido de Isabel Allende se amplía en La Ciudad de las bestias con nuevos elementos de realismo mágico, aventura y naturaleza. In 1950, after over 50 years of military occupation and colonial rule, the Nationalist Party of Puerto Rico staged an unsuccessful armed insurrection against the United States. Violence swept through the island: Assassins were sent to kill President Harry Truman, gunfights roared in eight towns, police stations and post offices were burned down. In order to suppress this uprising, the US Army deployed thousands of troops and bombarded two towns. 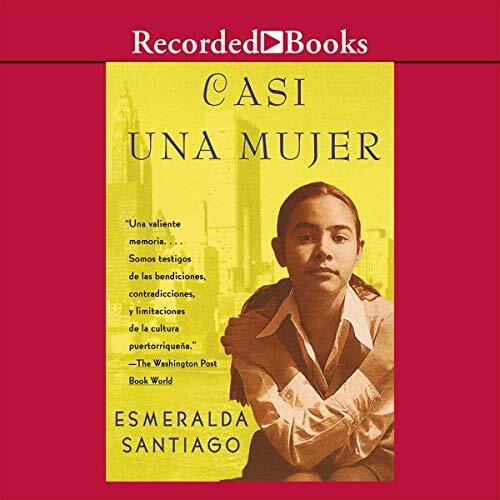 From a three-room apartment in Brooklyn, occupied by 10 family members, Esmeralda Santiago begins a journey that is both a triumphant struggle for identity and independence, and a mother's worst nightmare. Challenged by language barriers, cultural stereotypes, and the fiercely protective Mami, Santiago continues the rollicking ascent she began in When I Was Puerto Rican. By day, she perfects the role of Cleopatra at Performing Arts High School and interprets for the family at city welfare offices. At night, she accompanies her mother and sisters to Latin dance halls - but on such a strict leash that she has her first date at the age of 20. Undaunted, she makes up for lost time in a romantic apprenticeship at once hilarious and heartbreaking. 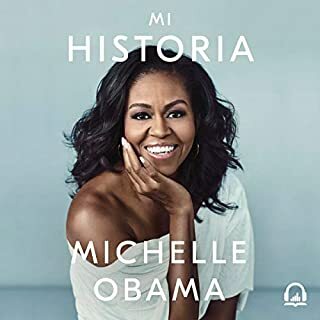 Note: This audiobook is in Spanish. 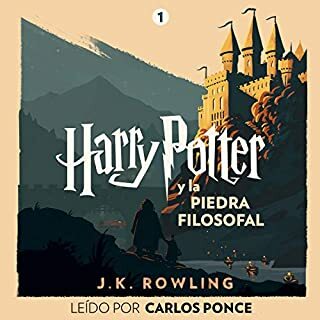 Este audiolibro es en Espanol. Would you listen to Casi una Mujer (Texto Completo) [Almost a Woman ] again? Why? I did listen to it twice. First, it is an interesting and entertaining insight into a sub-culture that is alien to me but very American. 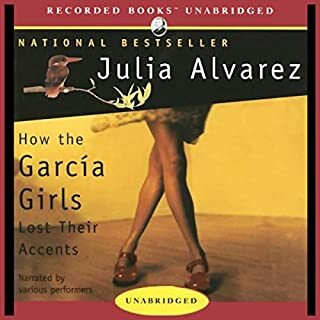 Second, Spanish is my second language, and the author's reading is excellent for my listening skills. Next I'll download her final book of the trilogy, "El Amante Turco." If you enjoyed Cuando Era Puertorriquena, get it. This is a continuation of Cuando Era Puertorriquena. Moving to New York and coming of age. I found the former more enjoyable but still a well written and narrated novel. I liked the first half best. This is not the end. I hope to see our heroine grow into someone more substantial in the next episode. If you enjoyed the first book you will also enjoy this one (only not as much). Go ahead - get it! This is some great writing. Santiago writes beautifully and with insight. Her depiction of the life of young Puerto Rican immigrant is deftly told, absorbing and poignant. Buen libro, pero el autor usa demasiados detalles. The narrator is a bit flat on the narration, but overall it is a good story.